Our SPECIALS change daily so please come back to this page to view. 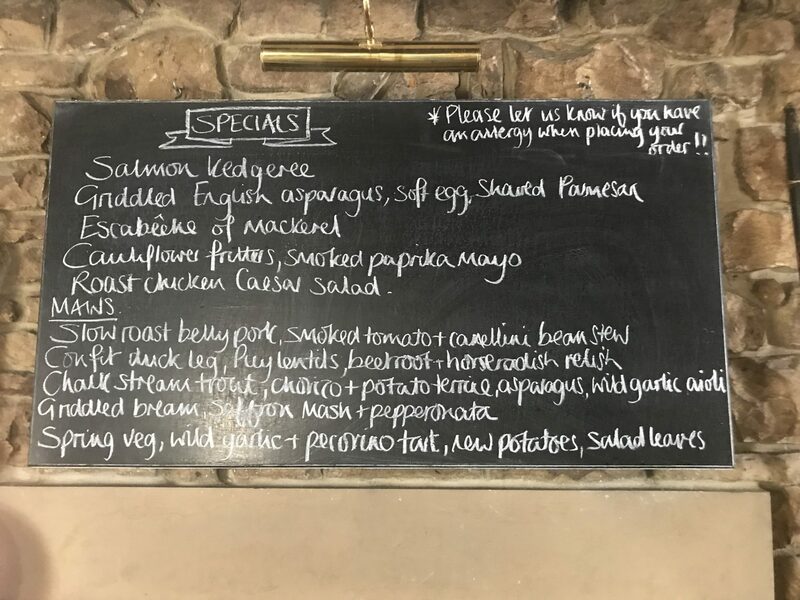 In addition to our SPECIALS we have a very good value FIXED PRICE MENU and also a SEASONAL MENU encompassing our grills,local steaks and much more. Please note, we also have an afternoon menu with a range of hot and cold sandwiches, snacks and also our steaks and Rib of Beef, which runs from 2pm to 5pm, Monday to Saturday. NB We endeavour to keep these menus updated, but menus may change during the course of the day subject to availability and due to our commitment to using the freshest seasonal ingredients and buying from small independant local suppliers.